Jenkins was waived by the Chiefs on Friday. Analysis: Jenkins joined the Chiefs last season and re-signed with the team in March, serving as a rotational defensive end. Justin Hamilton and Derrick Nnadi remain as depth options on the defensive line behind starters Chris Jones, Allen Bailey and Xavier Williams. 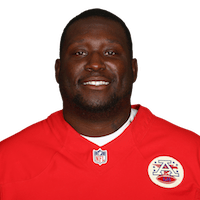 Jenkins put pen to paper Wednesday on a two-year deal to remain with the Chiefs, Terez A. Paylor of The Kansas City Star reports. Analysis: Jenkins slotted in as a reserve defensive end for the Chiefs in 2017, playing mainly when the regulars needed a breather. He should serve Kansas City in a similar role during 2018 with Allen Bailey, Chris Jones (knee) and Rakeem Nunez-Roches (ankle) all returning. Jenkins (knee) is listed as active for Saturday's playoff tilt against the Titans, BJ Kissel of the Chiefs' official site reports. Analysis: Jenkins will primarily serve as depth at defensive end for the contest. 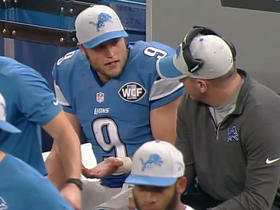 He could see some extra snaps due to Rakeem Nunez-Roches (ankle) being ruled out. Jenkins (knee) is questionable for Saturday's wild-card game against the Titans. Analysis: Despite logging a full practice Thursday, Jenkins remains questionable for the contest. 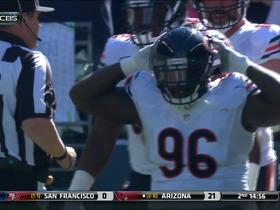 Rakeem Nunez-Roches (ankle) is also doubtful, which could leave the Chiefs' defensive line in short supply. Look for more updates on Jenkins' status to come Saturday once inactives are announced. Jenkins (elbow) was listed as a full participant on Wednesday's injury report. 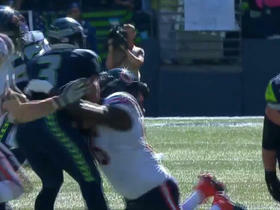 Analysis: Jenkins exited last Sunday's matchup with the Chargers due to an elbow injury and never returned to the game. His full participation Wednesday suggests that situation is no longer a concern in advance of the Chiefs' Week 16 date with the Dolphins. 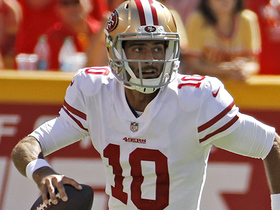 Jenkins sustained an elbow injury in Saturday's 30-13 win over the Chargers and didn't return. Analysis: A rotational defensive end, Jenkins has recorded just seven tackles and a sack in nine appearances this season. 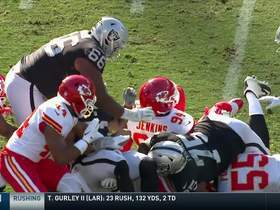 The Chiefs should know more regarding the extent of Jenkins' injury within a few days, but if he's forced to miss games with the elbow issue, it wouldn't register as a major blow to the Kansas City defense. San Francisco 49ers QB Jimmy Garoppolo fires a side-arm pass to tight end George Kittle and Kittle runs over a defender on a 23-yard catch. 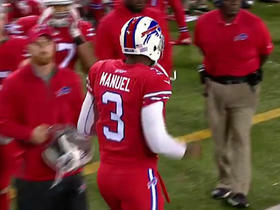 Buffalo Bills QB EJ Manuel converts the 4th down on a QB sneak. Chicago Bears linebacker Jonathan Anderson intercepts Detroit Lions quarterback Matthew Stafford. Former NFL players Ike Taylor and Maurice Jones-Drew count down the top 5 celebrations from Week 4. 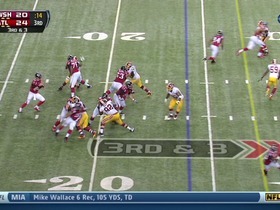 (:15) (Shotgun) M.Ryan sacked at ATL 22 for -2 yards (sack split by B.Orakpo and J.Jenkins). 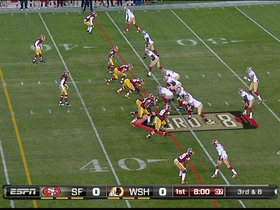 C.Kaepernick sacked at SF 33 for -3 yards (J.Jenkins). 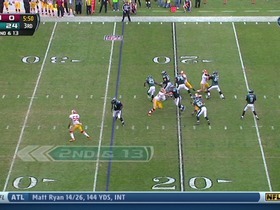 (5:53) (No Huddle, Shotgun) N.Foles sacked at PHI 16 for -8 yards (sack split by B.Orakpo and J.Jenkins).